A Microsoft account helps us personalise your Microsoft experiences and keeps your music, documents, app favourites, settings and more in sync with your Phone, PC or Xbox. England's Jack Wilshere had plenty to say about the Three Lions' approach to their first match against Italy in Manaus on Saturday. 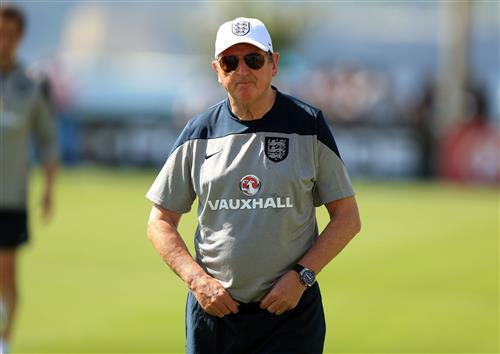 The fitness of England captain Steven Gerrard, who didn't take part in full training yesterday, is likely to be a key topic when Hodgson begins to answer questions. 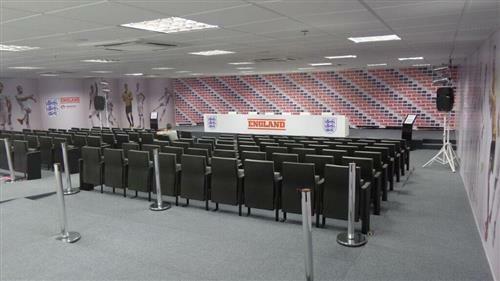 We're assured Hodgson will be answering the assembled journalists' questions soon, but at the moment there's no sign of the England manager. Hodgson: "I don't understand the Steven Gerrard story. He did some extra training after yesterday's session. Alex Oxlade-Chamberlain is progressing well and we're hoping he can play against Uruguay. The medics are hoping that he he'll be fit. I don't intend to be giving too much away other than that it's good to have selection issues and choices and that's all I can tell you right now. I'm sure as the week goes on we'll see a build-up in the tension as the game comes nearer. I don't think you'll see a tremendous difference in the way teams play in this climate as it's always difficult to get your back players up to support your attackers. I think we're in a better place to face Italy than at the Euros, because we've had a month to prepare for this and because we understand each other a little bit better as we've worked together for a couple of years. I can't second guess who Prandelli will be watching out for. Andrea (Pirlo) is obviously a top class player but we're focusing on Italy the team and we're not focusing on just one player. We're expecting our players to run around a lot so I think Wilshere may be thinking about what he should say to the media. But we need to wait and see when we get to Manaus. We try to win every game - we don't go into any games discussing a draw - and we need to keep possession but that there's a purpose to it and we drag our opponents out of position. I think it's very exciting (the emergence of youth) but we must caution that excitement as not many of them have had too many chances in an England shirt. To be world beaters you need to put on your national shirt and play very well. We have more pace, mobility and technical players now. In this World Cup we'll need our experienced players to help the younger ones. We didn't complain about Manaus and Brazil so that nonsense should be put to bed straight away. I'm very pleased to be back at a World Cup and we would be very happy to play in any city. It's always very difficult to describe yourself. I hope I've evolved in 20 years and that I'm in improving all the time. I'm not just talking about being a coach but also as a human being. I would like to think that I haven't lost any vitality, enthusiasm or energy and that I'm a better coach than I was in 1994. I think Balotelli and Immobile are both very good players and very different players. They will give us different challenges and I would like to think our defensive organisation can cope with it. It doesn't seem there's too much time to think about anything other than football, but that's good - that's how it should be. As we get closer to these three games the excitement will grow as they are three very big games. Today's session and tomorrow's training sessions are the only ones I can really make intense as we start to taper after that. I don't have an instinct for being cautious or adventurous but I hope that when the whistle blows I'll feel very positive about our chances and I'll be watching if we're defending and attacking in the right way. And with that the press conference comes to an end. England fans can take comfort from the seemingly strong fitness of captain Steven Gerrard and that Alex Oxlade-Chamberlain is coming back to full health.